Today, I am so proud to introduce all of you to a woman I feel honored to call a friend. I first met Tambra four or five years ago when we practiced alongside each other at Bird Rock Yoga studio in Pacific Beach. When I became a yoga teacher myself, she started attending my classes. I was humbled to have her there, to say the least! Over the years, we became good friends and have witnessed each other journey through many different stages of life like marriage, pregnancy, and big career changes. When Tambra told me that she was quitting her high profile commercial Real Estate job to focus more on herself and start a yoga-inspired business, I was thrilled! Some of you may remember, once upon a time, I had a yoga clothing line of my own called Zen Girl Activewear. After two years though, I learned that I was more passionate about teaching yoga and put that business to rest. Tambra, however, is a firecracker of a woman, a go-getter, with decades of experience in sales and marketing. She is pouring her whole heart into her new clothing line OM Matters, so I know it will be a huge success! The best part is that she is creating a purpose-driven company with a significant focus on giving back. 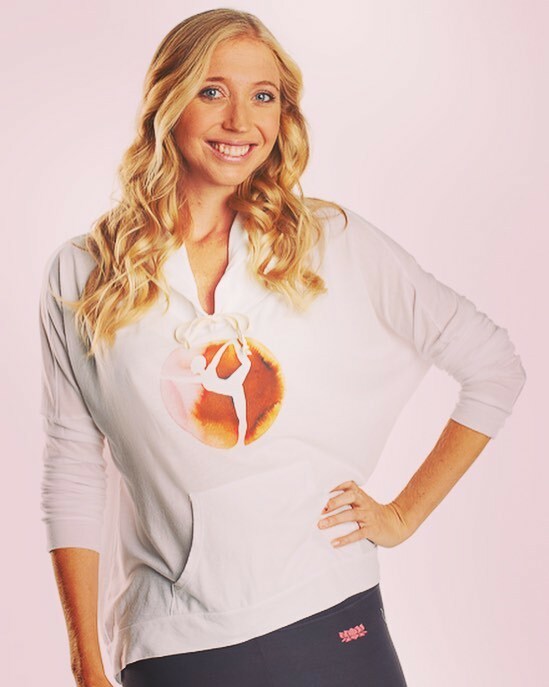 Last April, she asked me and fellow yoga teacher Sarah Clark to model her flagship line. Once again, humbled beyond words! At 6 months pregnant, the photoshoot crew was very patient with me as I did my best, medium-sized baby bump and all. Please take the time to read her very honest and open interview. I know her words will spark something in your soul, too! 1) Where did you grow up? What led you to call San Diego "home"? I moved to San Diego when I was 4 years old, so I call San Diego home. I grew up in University Heights about 1 mile from my grandparents and have wonderful family memories. We were all so very close and that is what really made San Diego home -- having Sunday dinners at my grandparents, going to the Zoo, the beach and getting sunburned, and loving every minute of it. After I graduated from San Diego State University, I moved to La Jolla and don’t think I will ever leave this beautiful place. My husband grew up in La Jolla, so fortunately he feels the same way! 2) What did you do in your past life? What was your life and career like pre-yoga? Being an independent, successful business woman was my goal since I was 15 years old. Growing up we didn’t have much money and I saw the struggles my mother went through -- she was a single parent most of the time. Plus she didn’t always pick the right men or pick them for the right reasons. On several occasions the relationships ended badly. I left home at age 17 and was determined to have a different life. Not only was I going to be financially independent, I would only marry someone because I was madly in love. My career was in commercial Real Estate and I worked long, hard hours for many years. I enjoyed it (even the long hours) and was proud to have reached my goal to be financially independent. But as time went on and money was no longer an issue for me, I began to realize something was missing -- a life! This realization occurred around the time I started practicing yoga. Something inside me started to shift, I began to soften and open my heart. Yoga really changed my life is so many positive ways. The most significant was the opening of my heart which led me to marrying the man of my dreams. The second was gaining the courage to leave commercial Real Estate to start something that was more meaningful to me. 3) In your own words, what is OM MATTERS all about? Why did you create it? 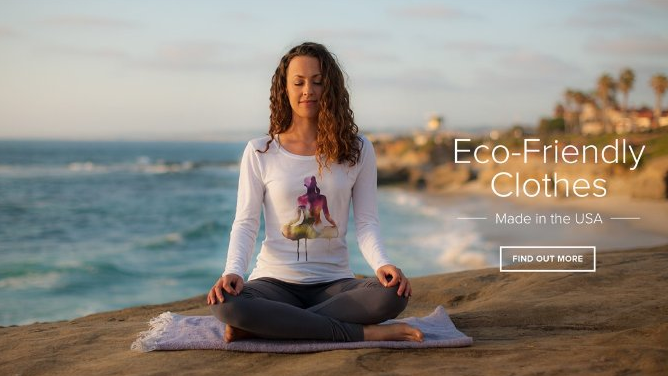 OM Matters is an eco-friendly yoga clothing company for women that contributes 10% of all proceeds to fund yoga for at-risk youth. With the sole purpose to create something that makes a difference in others’ lives, I combined my passion for yoga with helping at-risk youth. #1: Our Yoga Clothes - Our breakout line was inspired by the 8 Limbs of Yoga, outlined in Patañjali’s ancient text the Yoga Sūtras. Most of us are exposed to yoga as a physical practice, but it is so much more than that---it is a way of life. The physical practice, āsana in Sanskrit, is the 3rd limb and is only 1/8th of what yoga is about! I wanted to share with others the powerful teachings of all of the 8 Limbs of Yoga. So we created 8 beautiful and thought-provoking images representing each of the 8 Limbs. International artist, Stina Persson, did a spectacular job creating these designs specifically for our collection. On the back of each shirt is a description of each limb. #2: Our Give Back Component – The Give Back component is the main purpose for starting the company. Having been a volunteer for 15 years for a not-for-profit organization that helps at-risk youth, San Diego Youth Services (SDYS), I knew I wanted to start a company that could make a difference to kids on a larger scale. Reflecting on the positive impact yoga had on my life, along with my desire to continue working with at-risk youth, it was a natural fit for OM Matters to commit 10% of its proceeds to fund yoga for at-risk youth. One of my favorite yoga events is our Farm to Yoga event. At our last event, kids and their adoptive parents from SDYS joined us at Suzie’s Farm, a 140-acre USDA-certified organic farm in San Diego County, to participate in a family-friendly yoga class, tour the farm’s vegetable gardens and chicken coops, and at the end of the day we sat down to a beautifully prepared vegetarian dinner made with fruits and vegetables right from the farm… and the kids loved it, especially the strawberry shortcake! The point of the day was that the kids and parents learned about taking care of their bodies with yoga and organic food. They also learned about farming and the importance of taking care of our earth so we can continue to grow healthy produce. Everyone was dirty and exhausted by the end of the day, but the kids called it one of the best days of their lives! Priceless! #3: Our Commitment to be Environmentally Friendly – My intent was to ensure the company was kind to the environment. I established “Our Ahimsā Promise” policy which makes a commitment to source, manufacture, and package all of our clothing in southern California, reducing our carbon footprint by avoiding shipments from overseas manufacturers; and to use eco-friendly products made with natural, synthetic-free, and biodegradable fabrics. Additionally, all of our packaging materials are made from recyclable papers. 4) Who do you love taking yoga class from? Who (from an industry other than yoga) inspires you? I love taking yoga classes from YOU, Mandy! I also really like Sarah Clark with Interconnected Yoga. That’s why I asked you both to be my models for my yoga clothes!! You both inspire me in completely different ways and I’ve learned so much from you both. I really appreciate your incorporating divine female energy and power into your classes and I love how you share your life stories. Sarah’s focus on body aliment, breath work and meditation is awesome. Plus through our weekly “dharma talks” she has educated me on the 8 Limbs of Yoga. Interestingly, I have also done some work with each of your teachers, Stacy McCarthy and Michael Stone. Both are again, very different, but so inspiring. I love you all! [Aside from yoga] Blake Mycoskie. He’s the founder and “chief shoe giver” at TOMS. The TOMS story inspired me to emulate this business model for OM Matters. He actually wrote a book about how to do it, called “Start Something That Matters.” Blake started the company with the purpose to give a pair of shoes to someone in need for each pair of shoes sold. Not only do they sell shoes, they personally deliver the shoes to the people in need. Seeing the joy in the children’s faces is a big motivator at TOMS. In fact, they attribute the giveback component as a huge factor in the success of their company because it makes people feel that they aren’t just buying shoes, but are a part of a movement that makes a positive impact on the world. TOMS One-for-One business model has expand beyond shoes into coffee, eyewear and bags that help communities all over the world. TOMS is making a difference in our world and I want to do the same. I highly recommend the book to anyone who wants to start something that matters too. 5) What's the scariest thing you've done this year? Start OM Matters! It was more exciting than scary, but still a little scary! I launched in May and as the owner of a start-up business, I’m involved with every step---which I love (for now). Many of the skills I learned in my prior career are very helpful in starting a new business, especially marketing and customer relations. But there is so much more that I’m learning—which is fun and scary at the same time! I really enjoy being creative and expressive. Aside from learning about the clothing industry, social media and all the software used in an e-commerce business, I am constantly exploring yoga in many different levels. Doing something new every day---scary and fun! My husband and I have created a life we are in love with! We are both excited to wake up in the morning, to be with each other and to make a difference in the world. We appreciate and love each other more than ever and love the journey we are on. OM Matters continues to grow and expand its product-line. We have brought yoga to over 15,000 at-risk youth (our current goal is to bring yoga to 10,000 kids by 2019). I envision traveling across the country finding new Give Back Partners and hosting events for the youth. I’m creating beautiful experiences to inspire people to live their lives with compassion and the mindfulness that everything and everyone is interconnected -- WE ARE ONE! Thank you, Tambra! What a beautiful wisdom and insight you shared! And to all my Zen Girl readers: please support this female-founded, heart-centered small business by visiting their website, their facebook page, and saying hello on instagram -- @om_matters.